I need to do a Rambling Ronni post. I need to just type, to converse, to share…well, yeah, to ramble. You might not know this, but I’ve been working on this blog a lot lately. New blog layout, creating lots of new graphics, getting on top of my social media a bit more, learning about post schedulers to make my life easier, joining lots of blog facebook groups and pinterest boards. Most of the recent posts I’ve written have been more “public” type posts. Meant to be shared and meant for a public audience. But I’ve been dying inside to write other posts. Thinking posts. Posts that I don’t write to try to attract an audience, or shares, or search engine ranking. Posts for me. But it’s so hard. I have such little time. No matter how I try to arrange my life. I can never do all that I want to. I can never fully think through all that I want to think about and try to figure out. This stage of life is both so, so full, but also…not. My mind is supercharged with thoughts, feelings, love, frustration, joy, exhaustion. All the time. A million things. Always running through my mind. Only a tiny fraction of those thoughts are carried out into existence of spoken or written word – most just absorb back into my mind to be sloshed around again with all the other unrecorded thoughts hanging out in there. Slowly churning, churning, churning until my once sophisticated thought turns into mush and is forgotten. I love my children though. Even among all the mundane of each day, there are these moments – when my baby smiles, or when my daughter looses her first tooth – when my entire soul lights up, where my joy meter shoots through the roof, where everything, everything, is worth it. Pure happiness. Those moments are the reason why. But still. It’s sometimes hard. This stage of life. We’re busting at the seams in this tiny house of ours. I’m not good at being a minimalist. I want to have stuff. But we have stuff everywhere. There never seems to be any time, yet all there is is time. Time spent waiting, always waiting for the perceived notion of a better time just ahead of us. I’ve lived in L.A. for 14 years now. I love the “melting pot” feel of this place…but I feel like I still sometimes struggle to belong. I’ve found that many of the people I engage with here grew up so differently than I did. And I don’t think many people here really understand those who are on the ‘other side’. And it bothers me. And I wish I could fix this. I wish there were less automatic divisiveness in the world. And that people would truly try to understand where those with widely different beliefs are coming from. And it makes me feel lonely sometimes. I want to have a cool blog. I want to have a big enough blog that I can earn enough money from so that we can move into a larger home but still stay in my (now ridiculously overpriced ) community. But I don’t want a ‘sell-out’ blog. I want a blog that feels honest and real and truthful and helpful. I want to help other marriages in tough places. I want to help, in some small way however I can, build up families and society and leave something good to come out of my existence on this earth. 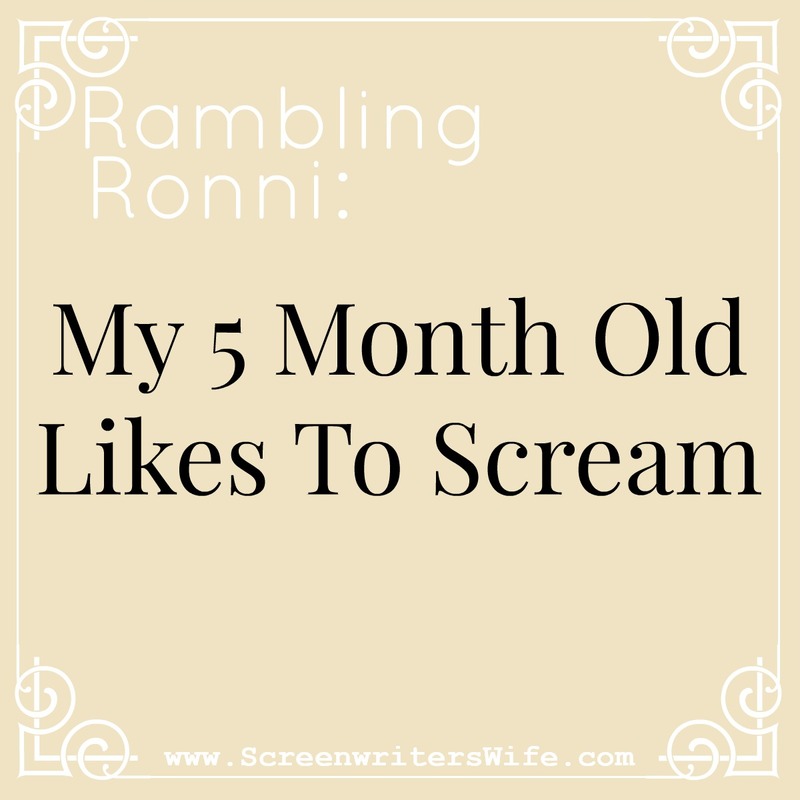 And I also want my 5 month old to stop screaming so much. It makes it really hard to think. « Rambling Ronni: Kids & writing & keeping on.